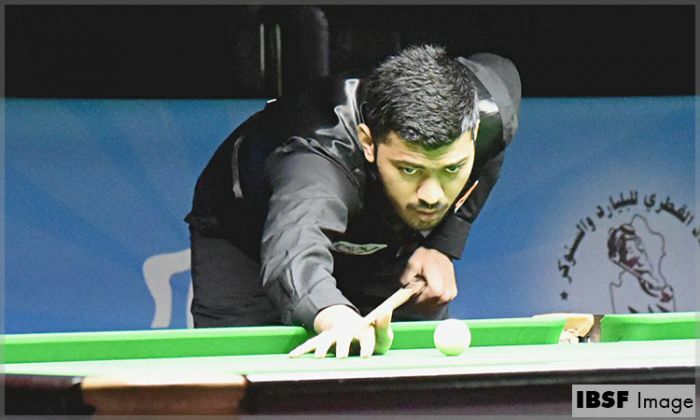 Dhvaj, seed 16 for knockout, kept Advani stranded in first three frames and obtained 3 frames lead scoring 41-17, 42-20 and 41-20. Multiple world title holder Advani then produced a rousing recovery with 43 and 49 for 3-3. Dhvaj then made a 42-00 to regain the lead but Advani made 65 against 04 to leave the score at 4-4. Advani had chance even in 9th frame but Dhvaj dominated from next chance took the victory after a fabulous 67 points break.